At the beginning of June, the Estonian National Opera, ENSO, Eesti Kontsert, and Tallinn Philharmony will organise a joint programme to celebrate the 80th anniversary of the birth of Maestro Eri Klas (7 June 1939 – 26 February 2016). The ENSO concert will be conducted by Leif Segerstam, a long-time colleague and friend of Eri Klas. In addition to the work of Richard Strauss, who was also very important for Klas, Segerstam’s own symphony will be performed. ‘I composed this as a musical memorial for my dear friend,’ said Segerstam. Leif Segerstam’s career as a conductor started in the Finnish National Opera. 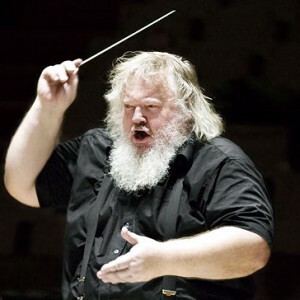 He has subsequently worked with the Stockholm Royal Opera, Berlin’s Deutsche Oper, with the Austrian, Finnish and Danish National Radio Symphony Orchestras, the Staatsphilharmonie Rheinland-Pfaltz, and the Helsinki Philharmonic Orchestra. From 2012, he has been the principal conductor of the Turku Philharmonic Orchestra. He also regularly works as a guest conductor with other symphony orchestras all over the world and conducts performances in the New York Metropolitan Opera, London Royal Opera House, La Scala in Milan, and others.